On this day in 1935, Amelia Earhart became the first person to fly solo from Hawaii to California. Earhart was born in Kansas in 1897 and started learning to fly when she was 24. She disappeared with her navigator in 1937 over the Pacific Ocean during an attempt to fly around the globe. 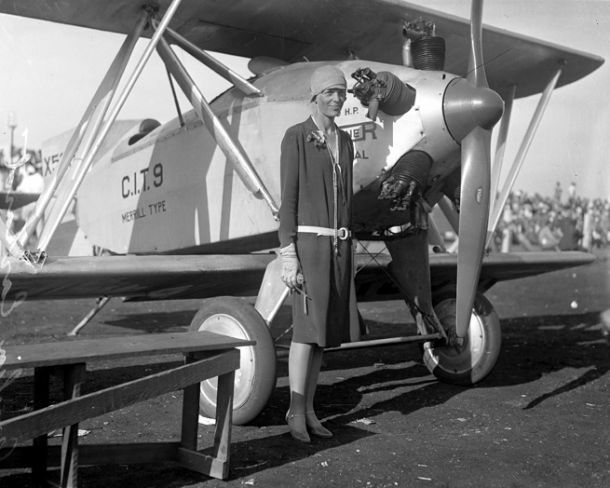 Learn more about what happened to Earhart at BBC. Distinctive cut marks on a Siberian mammoth represent the first known evidence of human hunters this far north. Read more at Smithsonian Magazine. The search for the missing Malaysia Airlines plane that disappeared over the Indian Ocean in 2014 discovered a 19-century shipwreck. The Australian Transport Safety Bureau announced that underwater sonar images revealed a likely man-made shape beneath the waves. Read more at Discovery. Last week it was revealed that Ötzi the Iceman was infected with a stomach bug when he was killed. New research has determined maternal genetic branch is extinct. Read more at Discovery. Archaeologists from the Chinese Academy of Sciences have discovered the oldest tea in the world among the treasures buried with the Han Dynasty emperor. Other items discovered include weapons, pottery figurines, an ‘army’ of ceramic animals and several real full size chariots complete with their horses. Read more at Independent.